What goes wrong in the COPD? Local Administration:-Through this mode, cell are infused directly at the targeted site of injury. Thus in case of COPD, stem cells are infused directly in to the lungs through catheter based delivery system. Once infused back in the body, these cells can be repopulated at the damaged parts of the organ, through their strong paracrine effects and differentiate into lost or damaged alveolar epithelial cells of the air sacs. They can as well create new blood vessels to improve the supply of blood or help in production of supporting cells to improve the functioning of the vascular system. 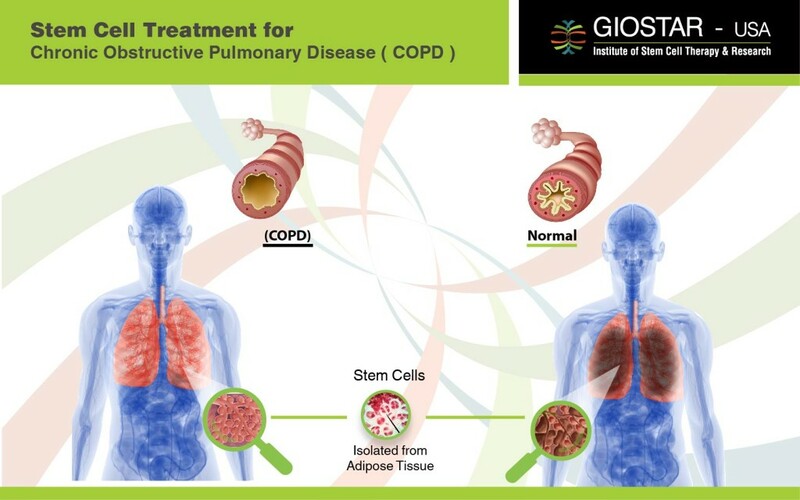 Thus with our standardized, broad based and holistic approach, it is now possible to obtain noticeable improvements in the patients with the COPD, in the symptoms as well as their functional abilities.